The thing about online shopping carts is they're all fine and dandy when you're actually checking out and purchasing an item. But for the noncommittal, product-stalking sort of person that I am, the online shopping cart can serve as a continuous reminder that there is always something else on my wish list that I probably/definitely should buy. Like now. Don't get me wrong—I'm all for thoughtful, conscious consumption, which is why the practice of keeping an eye on what you want before taking the plunge is something I subscribe to. However, if you're like me, you likely have an ongoing cart on several different sites at all times. And though there's no financially feasible way for me to get everything that I'm lusting after at the moment, I thought I'd highlight my current covetables of the moment. The best part? They're all cheap(ish). No, we're not talking about anything wildly inexpensive, per se, but nothing in the edit below is above $200. In other words, they require an investment but shouldn't break the bank, either. From the best tactile jacket for autumn to a new wave of statement earrings, scroll down to shop 20 affordable picks that are haunting my shopping cart right now. 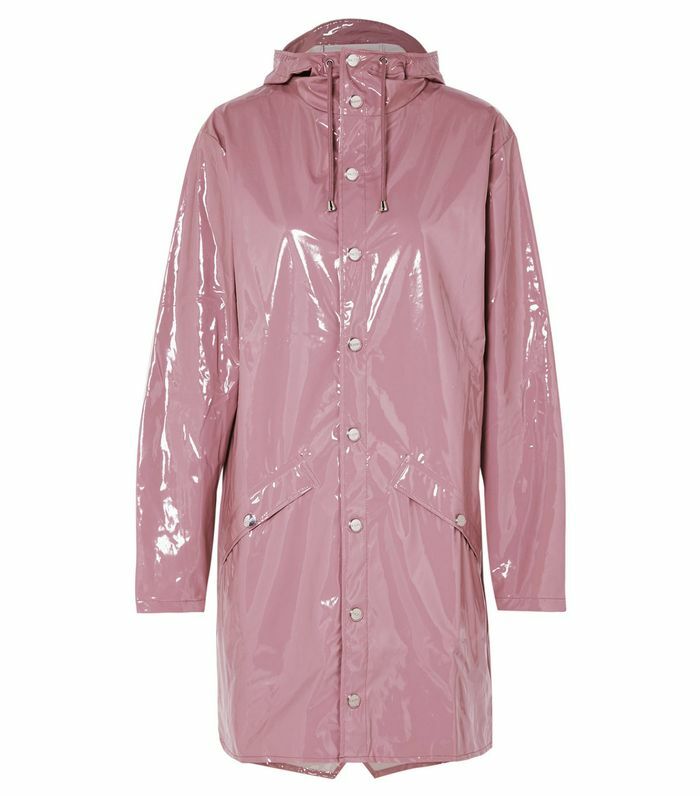 What better way to combat unexpected torrential downpour than with a perfectly pink raincoat? I'm ready to test-drive the rectangle sunglasses trend, and I'm doing it with these bad boys. Worn on its own or peeking out from underneath a jumper—either way, a printed turtleneck is a solid investment for fall. Sleek and subtle—perfect for everyday wear. A refreshing break from my architectural gold hoops. Autumn is the season of teddy textures—make it by way of this sporty jacket. Impractical? Perhaps. Delightful and would it make me want to go somewhere warm during winter? You bet. You can never own too many chunky knits. For cozy evenings in or entertaining guests. For when jeans feel too casual. This would look so cool layered with a sweater and an oversize blazer. I've never owned a pair and have been vying for this particular one because it reminds me of Amélie. Pearls, seashells, and other natural materials are very of the moment. No more black tights for me. When resort time hits, there won't be the need to scramble for a new swimsuit. With a name like 'Skin' I can only imagine how comfortable this slip dress must be. Want more? Shop 51 under-$100 fall trends.